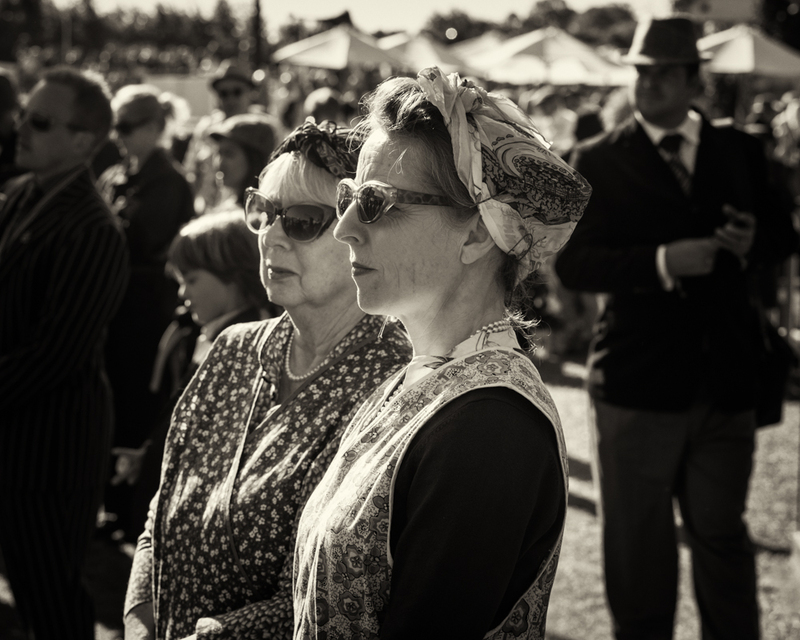 A couple of days ago I posted an entry with the first selection of people shots taken last weekend at the Goodwood Revival. You can read that post by clicking here. This second set includes another eight images which I hope you will enjoy. 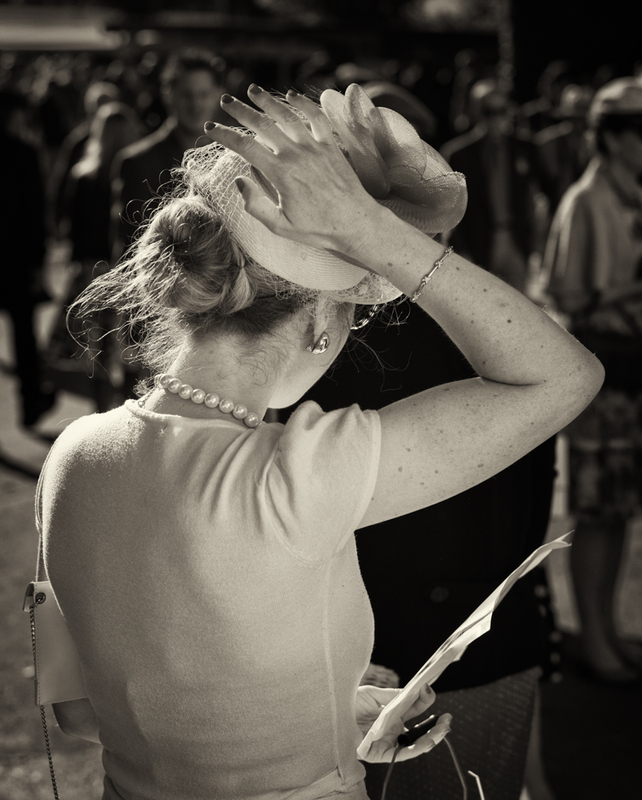 They all try and capture something of the party atmosphere which descends upon Goodwood Motor Circuit every September. 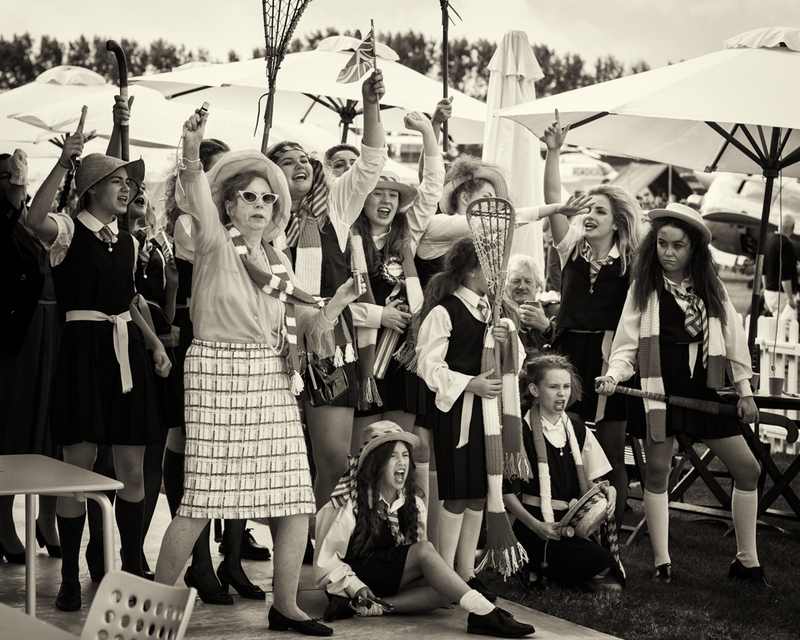 The girls from St Trinian’s School were very much in evidence this year. Originally a cartoon strip created by Ronald Searle in the late 1940’s and early 1950’s, he wrote a number of books and in the 1950’s some films were made which featured Alastair Sim (in drag) cast as the headmistress. Great fun. A more serious moment as two ‘cleaning ladies’ listen to The Earl of March making a presentation to David Brabham the youngest son of the late great Sir Jack Brabham. A picture of the presentation can be seen below. 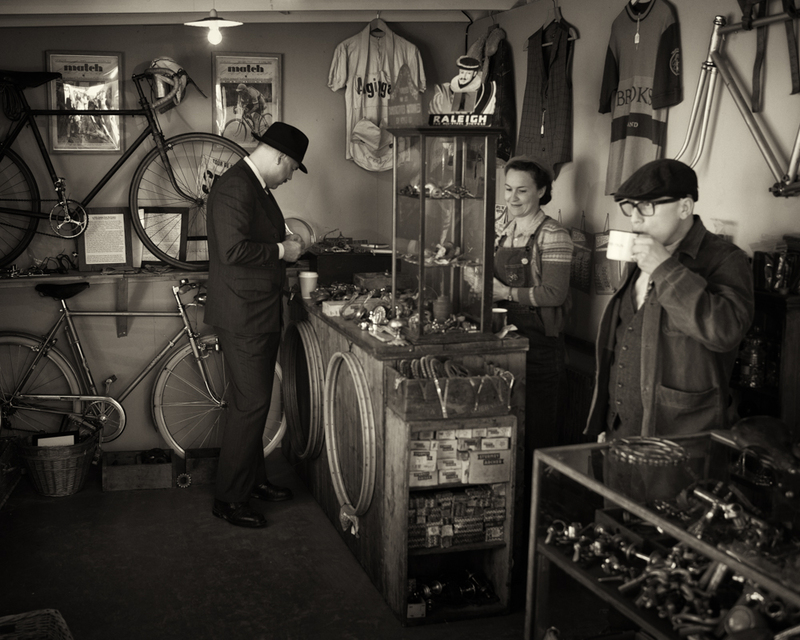 All over the motor circuit, stalls and shops authentically replicate the feel and times of the post war era. This shot below of ‘The Old Bicycle Company’ was typical of what can be seen. Ladies don’t often wear hats these days, so there is always the concern as to whether or not it’s still in place and hasn’t shifted in the breeze. 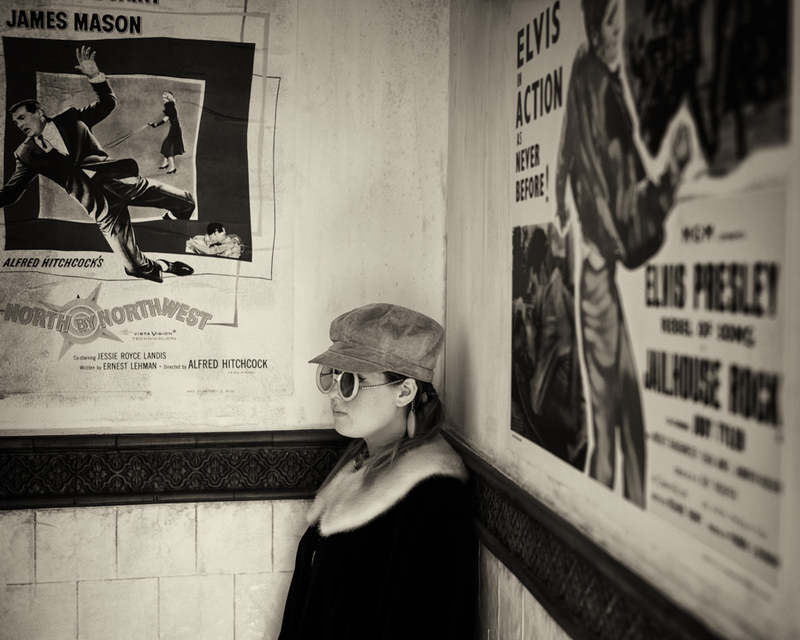 Another ‘underground’ shot, this time of a young lady framed by two film posters – ‘North by Northwest’ by Alfred Hitchcock and ‘Jailhouse Rock’ starring the one and only Elvis Presley. 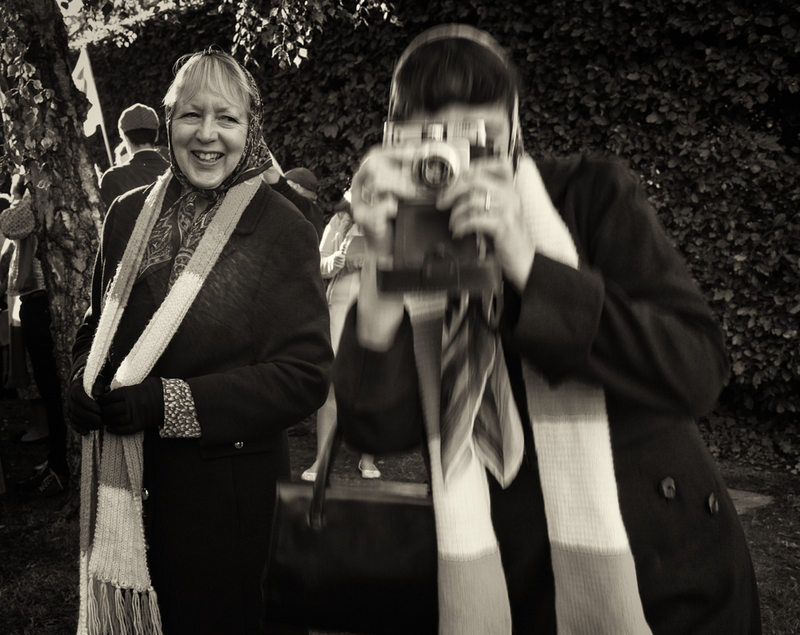 An England football fan tries to take my photograph with her old camera, while I try and take a picture of her and her friend, with mine. Somehow I think she forgot to load any film but you never can be sure! 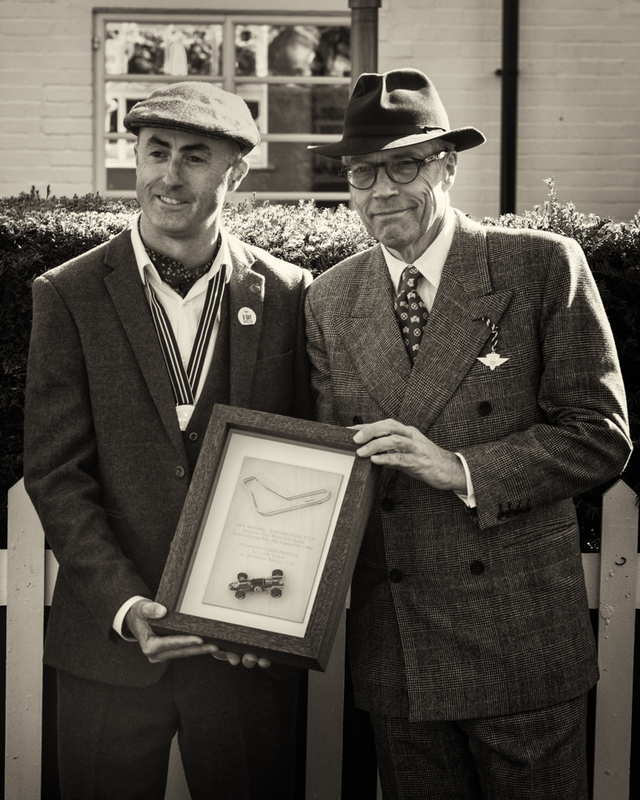 I have written about the Goodwood Revival on previous occasions and there are links below if you are interested. 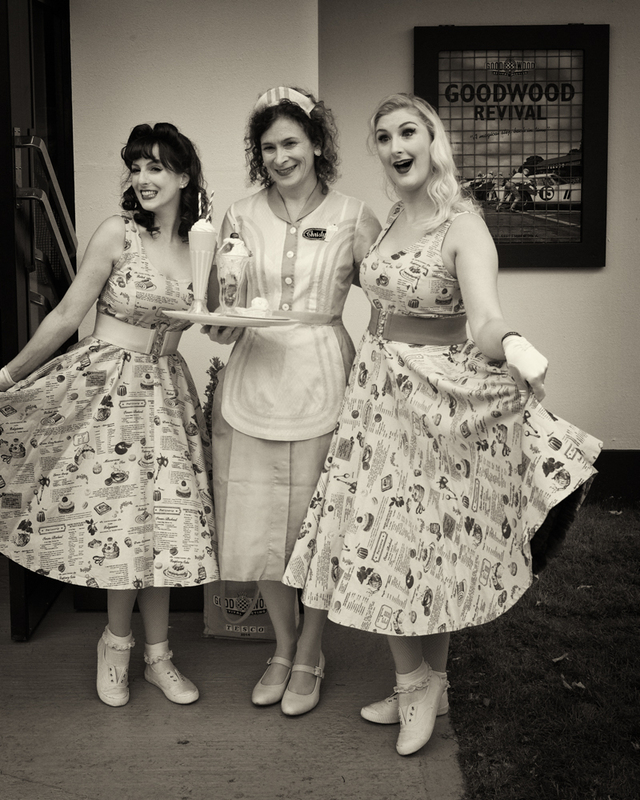 There is also a Gallery page featuring the Goodwood Revival, and you can see that page by clicking here. Do click on any of the images in this post to see a larger version which will open in a new window. A really effective set of pictures, nice process too these! Moving along another path raises questions… or does it? Finding your creative voice through experimentation.